Being able to market your product is imperative when you have your business online. You can use social media such as Facebook and many more. Either way, you will need to use a good landing page that will help to reel in the customers. As a business owner, you will want to find ways to let your customers get the most out of your website and a good landing page is the way for you to get them. Typically, you will be posting some ads around the internet. Perhaps you have a banner with an offer which will link back to your landing page. There should be a call to action so that clients who are visiting will know that that’s where they can get the product that they are interested in. 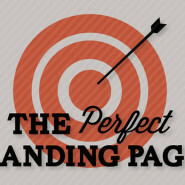 Here are some tips for a good landing page. Give your client exactly what they want. One thing that other business websites get wrong a lot of times is when the banner is one thing while the landing page is another thing. You must remember that the reason why the client has clicked on the banner is because they are already interested in the product that you have advertised. If they don’t see the product that they want and they see another offer or your index page, then there’s a high chance that the client will click away from your website. Of course, they could get frustrated in the process when they don’t find the product so, they leave. It would be a loss for you when that happens. Have a good Call to Action. Please avoid the word, ‘Submit’ on your landing page. The design of your landing page. If you go through the internet for blogs or tips for making a successful landing page, you will see that there are a number of styles that work best with clients, and then which designs you should avoid. Researching for the best style is the key to a successful landing page and internet marketing. Test out your landing page. This means that you should experiment with different styles, until you find the landing page that brings in more customers than others.